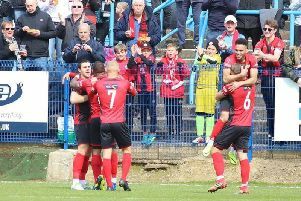 Poppies fans wishing to attend the game at Hayden Road, which will kick-off at the earlier time of 1pm, on April 22 will now have to purchase a ticket in advance. The decision has been taken following further discussions between the two clubs and Northamptonshire Police earlier this week. A total of 850 terrace tickets will be available for Kettering supporters while arrangements for Diamonds fans remain unchanged and they will be able to pay at the turnstiles. A statement released by Diamonds today (Friday) said: “From January 2019 the club has been in discussions with Kettering Town FC and Northamptonshire Police Football Liaison Unit regarding arrangements for the fixture at Hayden Road on Easter Monday. “At the time, and with the agreement of both Kettering Town FC and Northamptonshire Police, it was decided that the match would not be an all-ticket event. 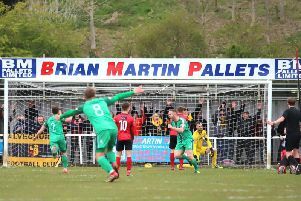 “Earlier this week, concerned that more than the capacity of 850 away supporters may attend the match, Kettering Town FC made contact with AFC R&D and requested that the decision not to make the game all-ticket be reconsidered. “The club has since spoken at length with the Northamptonshire Police Designated Football Officer who has advised that in the interest of safety for all supporters, the match should be now be designated all-ticket for away supporters. “Tickets will be available until the allocation has sold out and e-tickets, provided the allocation has not sold out, will be available until kick-off on the day of the game. All tickets are subject to booking fees, which will be added to the standard matchday prices of £10 for adults and £7 for concessions at the checkout.